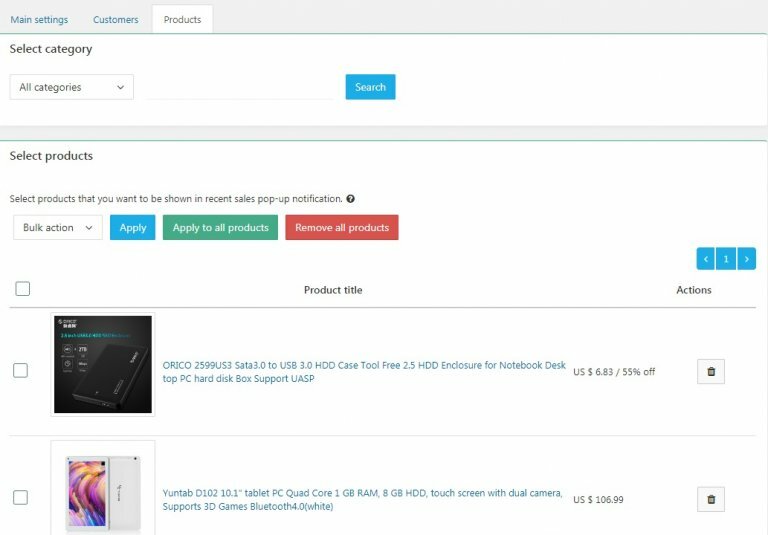 Recent Sales Pop-Up add-on is designed to encourage visitors to purchase products other people bought in your web store and keep them engaged. The plugin will help you increase trust factor, make your website look busy and drive robust conversion to your store. To get started, go to the Recent Sales Pop-Up dashboard. With the help of Enable notifications option it is possible to switch off and on pop-up notifications. 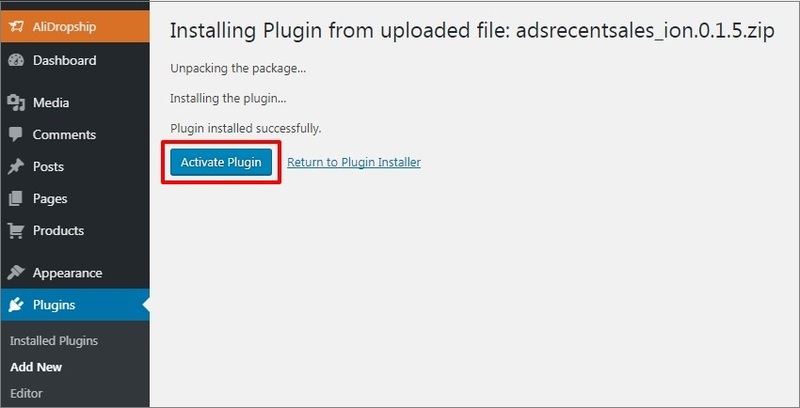 To display pop-up notifications on mobiles, make sure Show on mobile option is activated. 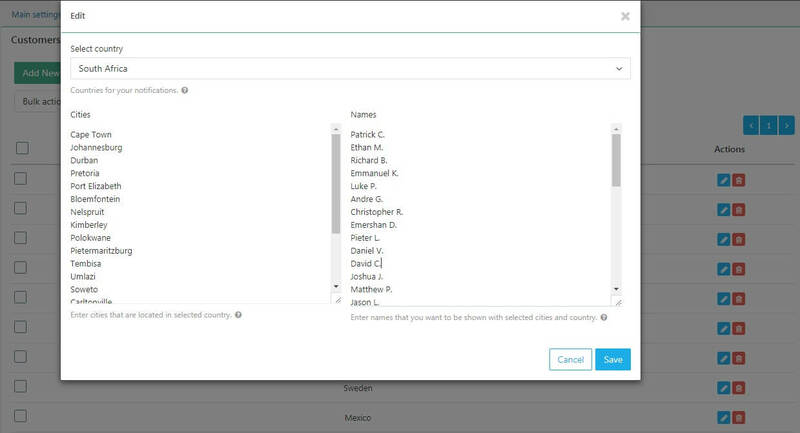 There is a range of countries available to choose from in Select countries dropdown menu. 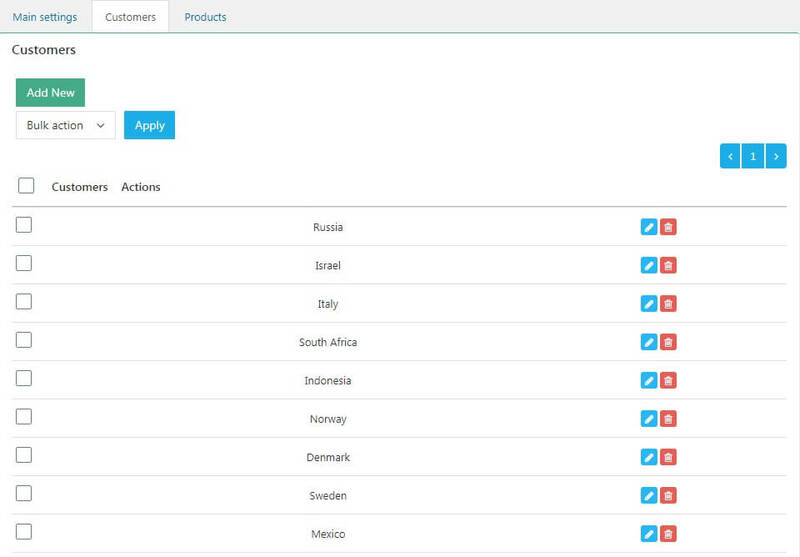 Each country includes the list of cities and customers’ name that you can edit/add/remove in Customers section. Message shown in notifications can be edited in Message template field. Font for pop-up notifications can be picked in Font options. 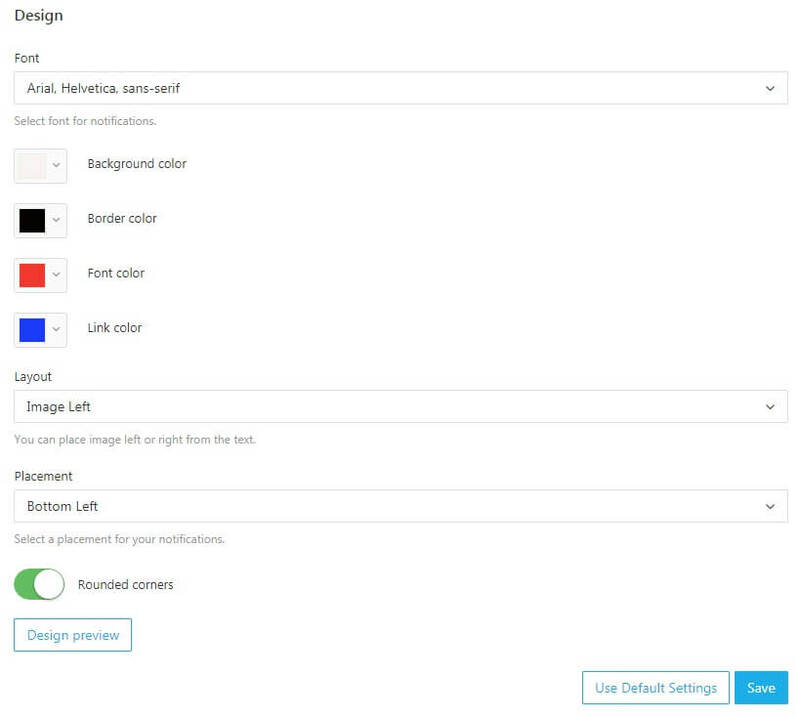 Using color picker you can choose colors for background, border, font and link. You can use Layout to place image left or right from the text and Placement to select the right place for notifications on your store. There is an option of making notification corners rounded by enabling the switcher Rounded corners. Time intervals between notifications display can be specified in Display options: 30 sec, 45 sec, 60 sec, 100 sec. To make your pop-up notifications life-like, you can Randomize time between notifications. Using Time-ago period option you can manage time showing how long ago a purchase was made. Display time and Max number of notifications per one user per one page can also be adjusted to your needs. You can always override changes you have made by clicking Use default settings. In Customers section there is an option of adding more countries, cities and customers’ names to be displayed in pop-up notifications. You can not only create new locations, but also edit and delete already existing ones. 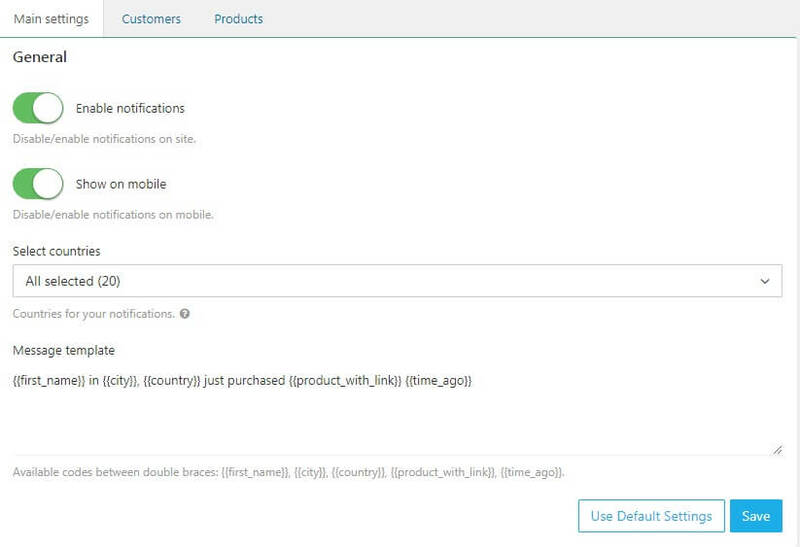 You can add some certain products that should be shown in pop-up notifications in Products section. If none are selected, pop-up will cover all your published items and will be selecting them randomly.